This product is a Battery Optimizing System II with 90-240 Volt AC, 50/60 Hz and 4 Station Reconditioner. 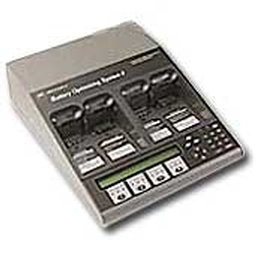 It provides powerful analyzing and reconditioning features and includes 12 resident programs, a QuickTest diagnostic battery state of health program, programmable adapter plates and much more. It supports NiCd, NiMH, Li-ion and SLA batteries. Only for UK & Euro line Cords.